Presales begin January 26th. A model home will start construction soon. All of Coventry’s homes in Grayson Woods will include standard smart-home features such as an Ecobee Smart Thermostat with Alexa voice control, exterior and back door lighting, a Kwikset front door lock, Echo Dot, smart light switches and a Ring video doorbell. The package will be powered by Control4, a leading provider of personalized automation and control solutions. 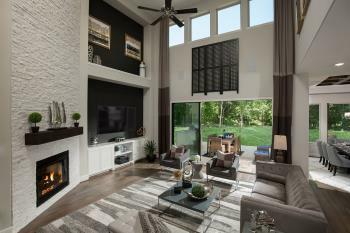 With its opening in Grayson Woods, Coventry Homes now is active in 28 Houston-area communities, offering floor plans priced from the $300,000s to more than $1 million. Learn more at www.coventryhomes.com.